What are the myths about smartphone battery that you should stop believing? Something really big! Let’s get started to read the myths about smartphone battery and don’t forget to share your feedback below in the comment box. That would be really appreciated. One of the most important parts of a smartphone is its battery. The device’s performance depends on it. And you can find the list of top 10 ginoee mobile with great battery backup. However, there are a lot of myths floating around about smartphone batteries. What if you knew the real truth behind them, would not that be great? So, today, I am going to reveal the truths behind 10 such myths about smartphone batteries. Read on to find out. Read More – How to Select a GPS Phone Tracker for Your Kid? Before going into the myths regarding smartphone batteries, let’s talk about the types of batteries a smartphone have. There are four types of batteries used in smartphones. These are Lithium-ion (Li-ion), Lithium Polymer, Nickel Cadmium (Ni-cad), and Nickel Metal Hybrid. However, in today’s market, only Li-ion and Lithium Polymer batteries are used on smartphones. Apart from this you can buy powersafe wall charger for your smartphones. This one is the most commonly used battery in the recent days. The advanced technology used makes it an asset. It has a very high charge capacity, especially when compared to its size and weight. However, the use of this technology makes the battery costly. Also, you would not see them in mobiles of the past. Also, they are not affected by the ‘Memory Effect’ that is it does not hurt their lifespan if you use them when they are not discharged. Lithium Polymer batteries are the best ones you can get for your smartphone as of now. These are encased in plastic, unlike the metal in other batteries. As a result, they are safer, smaller, and sleeker than every other smartphone battery. Similar to the Lithium-ion batteries, they do not fall prey to the ‘Memory effect.’ Besides, they can contain up to 40 percent more charge than other batteries out there in the market. Also, Do you know the list of water resistant smartphone in Inida, If not then you must have knowledge about water resistant smartphones in India. There is a myth that if you charge your phone overnight, it will be damage battery life if it has reached the full charge mark. Overcharging is the term associated with this myth. It was true for the older mobile phones with less advanced batteries. They tend to lead to performance issues and some even to explosion as well. However, newer smartphones have pretty advanced technologies in them. They all have built-in circuits that cut the power right. When the battery reaches its full capacity, even if the charger is connected, it won’t receive any extra charge. So, there is no possibility of damage your battery. Please note that the cover of your phone is absorbed the heat which is generated while charging. Your phone might be heated for this reason. On the contrary, many people believe that charging your phone for a day will damage it via overheating. It is true to some extent. Smartphones in their beginnings tended to overheat on prolonged charging hours. In present days, however, this is not the case. Smartphones these days have efficient power managing features. Once it reaches the full charge, the circuit cuts off the power. It only resumes recharging once the battery decreases under hundred percent capacity. This myth was a truth for the Ni-cad or Nickel Cadmium batteries. Ni-cad batteries had a memory life. That means they remember the charging cycle and wears off faster. They would lose their full charging capacity. Also, they would lose their charge holding ability as well. Nowadays, a modern smartphone uses Lithium-ion batteries. They do not fall prey to the memory effect. Suppose, If you use 50% of your battery and then you recharge it again. Next day, if you use it 50%, then it will complete 1 cycle. Note that Lithium-ion battery reduces in capacity every charge cycle. Some people think that using 4G network drains the battery life more quickly. It’s true that the 4G network takes a little bit more power, it does not use that much. But, this is a not the main reason. The problem arrives when you are in poor network zone. Because in that case, they try to give you better connectivity and that lead to drain your battery faster. In that case, you can use a SIM from a reputed service provider which provider able to give better network coverage. It would not be a problem. Many people believe that closing the apps every time will conserve your battery. Even, people use apps like memory killer, Battery Saver to close the another app. However, it is not true. On the contrary, the battery life drains even faster if you close the apps over and over again. You can lose all the data as well. Also, the CPU will need more power in case it needs to restart an app. Therefore, the battery will drain more. So, stop doing this right now. For those of you who believe that you will know different today. Charging your smartphone via a laptop will never damage your battery. Instead, only the charging time will lengthen a bit. Because it’s transfer less power than your smartphone charger. Of course, you think you can recharge your 2500 mAh battery twice with your 5000 mAh power bank, right? Wrong. It depends on one other factor. The charging voltage plays a big role. Mobile phones are charged at five volts, whereas, the power rating of the power bank is calculated at 3.7 volts. So, do not just fall for the number. Bring the charging voltage into your calculation as well. Similar to closing the apps every time, it does not save you a lot of battery. Sure, you can close them if you want to, but do not expect the battery to last unusually long just because you did. You can turn on Airplane mode. That disables all the radio functions and helps in saving a good amount of battery life. This is a serious misconception. You really should not use any faulty and damaged chargers or cables. They can cause you severe damage. This is an another myth which you should stop believing now. You can use other brands charger as well. So, do check the output voltage of the charger only. Almost every smartphone charger output voltage is 5V. But, there are many cheap and sub-standard chargers available in the market that will harm your smartphone and battery. So, it is best to stick to the branded charger given with the smartphone for charging purposes. Or at least you use a good quality charger from a reputed brand to ensure your phone’s safety. So, these are the smartphone battery myths that you should stop believing. Keep in mind that do not just agree with whatever you hear, analyze the facts before getting conclusions. Think we missed out something? Let us know about it in the comments. 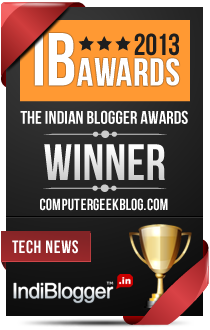 Shubha Das is a blogger and tech enthusiast from India who blogs at Best Digi Deal. He loves to learn new skills and loves to share knowledge with others. He believes strongly in the value of sharing. How to Insert Buttons in Blog Posts Without Using Shortcodes?